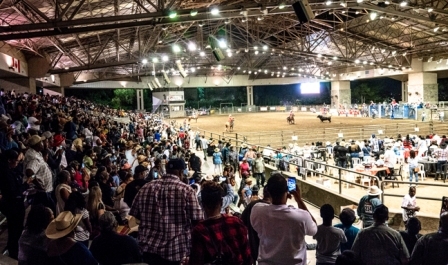 “The greatest show on dirt!” --famously known as The Bill Pickett Invitational Rodeo-- celebrated its 34th Anniversary at the Industry Hills Expo Center in the City of Industry on July 20-21st. 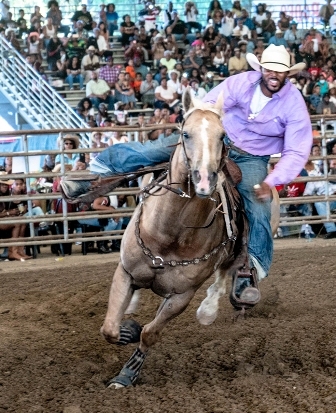 The nearly sold-out rodeo combined country western fun and African American cowboy culture. 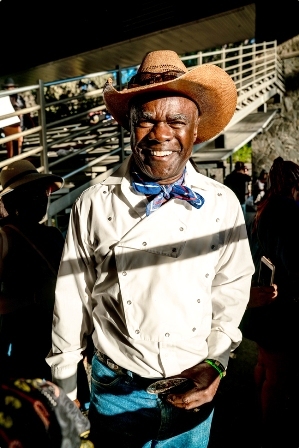 The grand entry began with actor Glynn Turman serving as Grand Marshall, along with Co-Grand Marshalls James Pickens, Jr., Reginald T. Dorsey, Regina T. Dorsey and Obba Babatunde. The audience rose for the Black National Anthem, sung by African American country western singer Priscilla Renea. A short cowboy prayer was said, that expressed gratitude and love for the athletes of the day. A parade of cowboys and cowgirls took the arena to salute this year’s sponsors. Then, the games began. There were several categories of competition. Crowd favorites included Bull Dogging, Calf Ropin’ and Ladies Barrel Racing, just to name a few. Each rider maintained a face of ­determination, pride, history and Black excellence all on one saddle. The crowd was a mix of old and young rodeo lovers from all over the United States, sporting their most fashionable western attire. With fan signs such as, “Team Jean” in support of their favorite cowboys and cowgirls. There was never a dull moment. In between competitions there were intermission periods, where the infamous “Spanky” the Clown came to entertain and make the crowd laugh. Or you could choose to rush to get snacks and souvenirs from the multiple food and health vendors and sponsors before the next event. 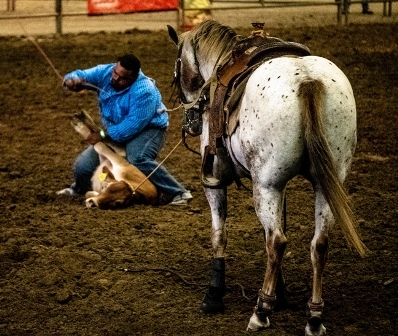 The rodeo winners receive a cash prize and the respected title for the year. Scholarships are awarded to selected students and thank you gifts for audience participants. Afterwards, the riders greet their family and friends and sign autographs for fans. 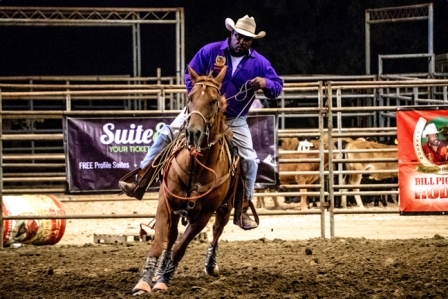 The Bill Pickett Invitational Rodeo’s mission is to celebrate and honor Black cowboys and cowgirls and their contributions to building the west. They highlight the irrefutable global appeal of Black cowboys and cowgirls in the west and their stories behind a sub-culture that is still strong today. 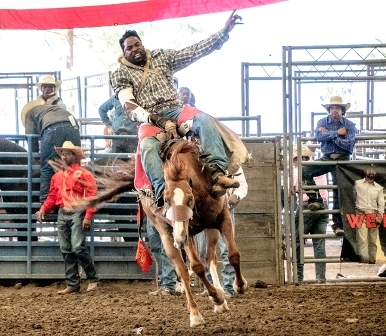 The rodeo also serves as a cultural event and opportunity for families to enjoy and embrace the cowboy culture, while being educated and entertained with reenactments, history highlights, and western adventure. The Bill Pickett Invitational Rodeo also travels to Atlanta, Memphis, Oakland, the DMV area and hosts a MLK Jr. Rodeo of Champions in Denver. The BPIR has over four decades of family riders. 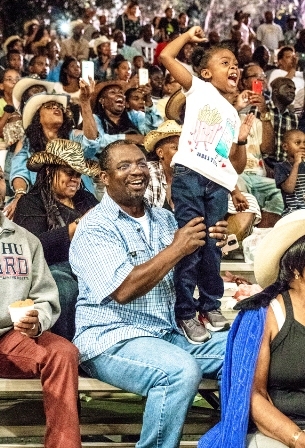 The event is much greater than a rodeo, it is a gathering of family who come together to celebrate and cherish the history, legacy and future of African-American cowboys and cowgirls. 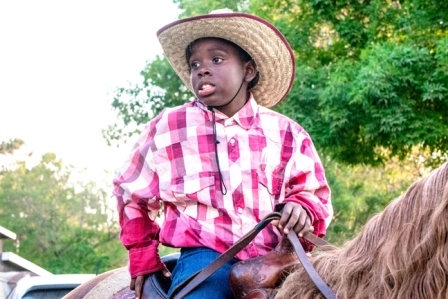 The rodeo also supports and encourages inner-city children programs to experience the equestrian lifestyle. “Let’s continue to love and enjoy what has been put before us. Let’s not allow the ugliness of this world to block our blessings and love for one another. 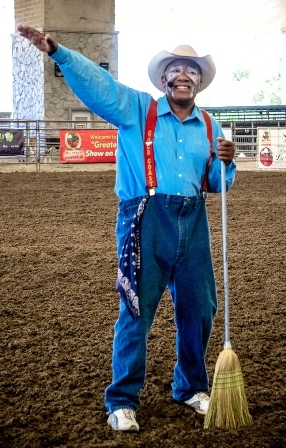 We have achieved what many said would never be done and that is creating the only African American traveling rodeo in the world and being able to sustain 34 years of struggles and challenges. We should all be proud to be part of the history created and by telling our story while leaving footprints everywhere we go. As we move into celebrating our 35th anniversary, I say stay tune, things are yet to come.” said, Valeria Vason-Cunningham, President of the Bill Picket Rodeo Invitational Rodeo.